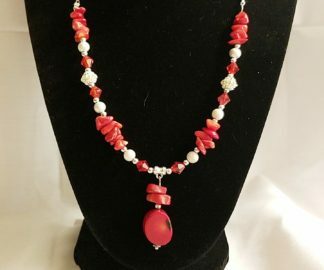 Captive Red Aventurine and Jasper Set is fiery brilliance! 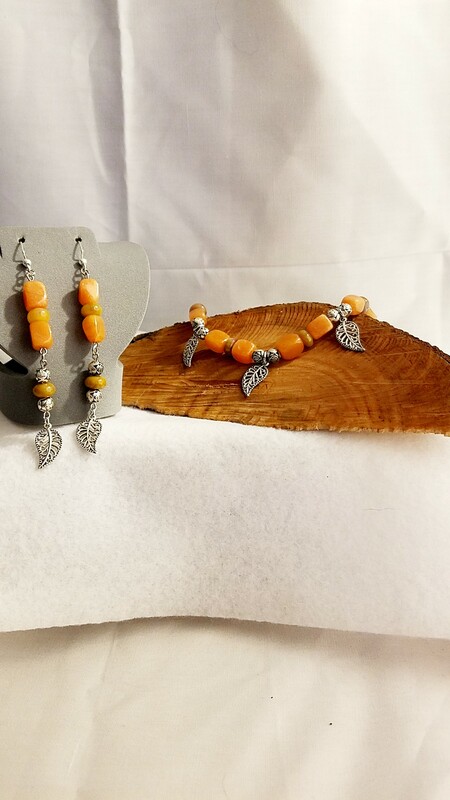 Captive Autumn Carnelian and Jasper set has beautiful Autumn colors, that are rich and lovely. 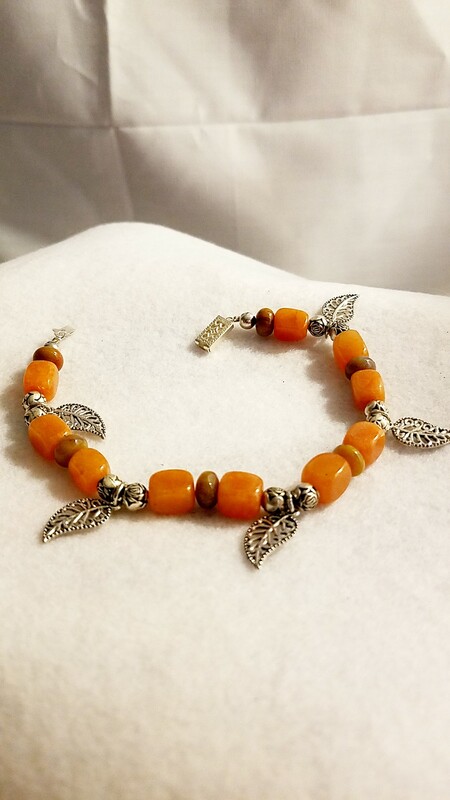 Like the unexpected fire of a sunset, or the first flash of autumn brilliance this bracelet holds and captivates your attention the rich warm color of the Carnelian cubes and the earthy tones of the Jasper Rondell really makes this set come together. Captive Red Aventurine and Jasper Set has beautiful Autumn colors, that are rich and lovely. Like the unexpected fire of a sunset, or the first flash of autumn brilliance this bracelet holds and captivates your attention the rich warm color of the Red Aventurine cubes and the earthy tones of the Jasper Rondell really makes this set come together. 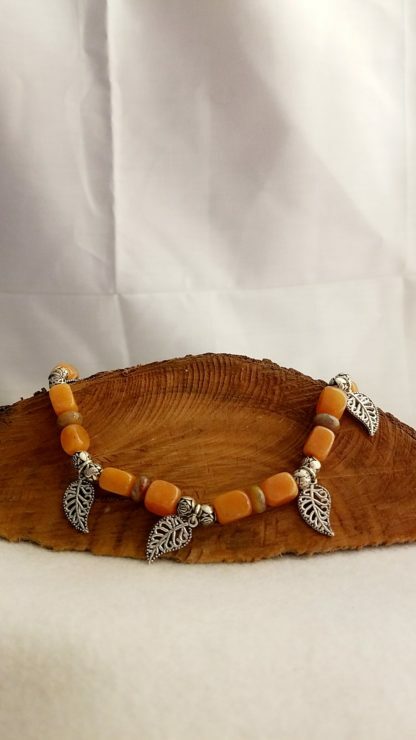 I added an extra touch to boost an Autumn outfit by adding some intricate leaves and rose beads as well to the bracelet and earrings. Carnelian is said to attract prosperity, new resources, and good luck. It is a talisman for success in any money-making venture. In the workplace, it is a crystal of ambition, drive and determination, and wards off undue pressures of co-workers or impersonal corporations with unrealistic expectations. Jasper – a form of chalcedony, is an opaque, impure variety of silica, usually red, yellow, brown or green in color; and rarely blue. The common red color is due to iron (III) differentiation in what is basically a chert. The mineral breaks with a smooth surface and is used for ornamentation or as a gemstone. Known as the “Supreme Nurturer,” Jasper is a stone of grounding and stability, providing comfort and security, strength and healing. Its presence balances the aura to a level of wholeness and peace and acts as a reminder that one is not here on the physical plane simply for oneself, but to bring joy and substance to others. 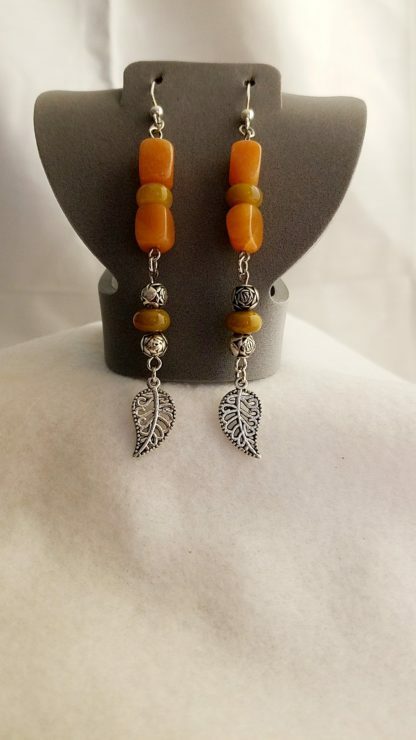 Earrings Measure: 2 1/2″ from the top of ear wire to tip and beads are 2″ total. 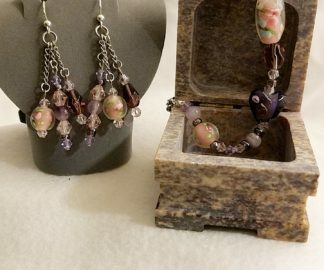 This is a unique piece I made, and can’t be back ordered or custom ordered in a different color. You will have a piece as no other person has. 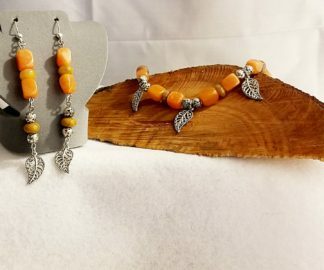 Therefore if you would like more information about the gemstones and items I use in making my handmade items like this, Captive Autumn Carnelian and Jasper set Materials Description Page. Let this Captive Red Aventurine and Jasper Set boost your outfit with fiery brilliance!